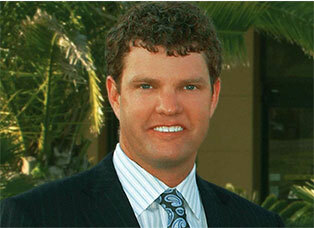 Dr. Scott Ennis is known around the world as a master in the field of cosmetic plastic surgery. Known for the beautiful, natural-looking results that he delivers, Dr. Ennis’ patients travel from all around the world — including Europe, South America and Asia — to be treated by him, some of whom seek his expertise in performing revision surgeries that correct complications from their previous surgeries. Dr. Ennis specializes in endoscopic minimal incision breast, body and facial surgery, which allows him to achieve dramatic results while minimizing visible scars. His approach to cosmetic surgery is much different than many of his peers: each patient is evaluated to formulate an individualized plan that will address his or her individual goals and problem areas and ensure the patient achieves a very natural look to their results. This is done through both patient education along with Dr. Ennis’ artistry, as his artistic background allows him to understand the subtle changes that occur with aging. Utilizing the most advanced techniques, he will discuss with each patient the underlying issues that make us appear to have aged and how he is able to give them a younger, more natural look while avoiding the pulled or stretched appearance of many of the older style facial procedures. Dr. Ennis is a double board-certified plastic surgeon certified by both the American Board of Surgery and The American Board of Plastic Surgery. As a world renowned plastic surgeon, he feels very passionate about obtaining the optimal result for each and every person and has received accolades from his patients by being selected as one of the Best Plastic Surgeons by Emerald Coast Magazine Readers Poll for several years. Dr. Ennis received his bachelor’s degree from Birmingham Southern College under a presidential honors scholarship and graduated from medical school at the University of Alabama at Birmingham (UAB). He received many accolades, including the Best Intern award and the Outstanding Chief Resident, an award given to the doctor regarded as the best physician by his fellow doctors. Following UAB, he was recruited for a Plastic Surgery Fellowship at The University of Virginia, considered one of the best Ivy League university hospitals in the country. During his tenure, Dr. Ennis published a paper in The American Surgeon on a new procedure to repair injuries suffered by victims of major trauma. Surgeons around the world now use this procedure. Additionally, Dr. Ennis was honored with the Raymond F. Morgan award for original research in Plastic Surgery. Our office can assist you in arranging a low interest payment plan. We also accept cash, cashiers checks and credit cards (Visa, MasterCard, American Express, and Discover).